For 2011, the 3 Series has a few new exterior design elements. These elements include the hood, front fascia, and new headlights with an eyebrow for daytime running lights. There’s also reshaped exterior mirrors, a wider rear treatment, and enhanced aerodynamics. Buyers can also find the 2011 BMW 3 Series with new exterior paint colors and upholstery options as well. Under the hood of this luxury sports sedan is a 3.0 liter inline six engine. The engine can achieve 230 horsepower at 6,500 rotations per minute (rpm) and 200-pound-feet of torque at 2,750 rpm. If power is important to you, know that the 2011 BMW 3 Series packs a punch with even the base trim level. If you’re interested in increased power though, know that the vehicle is available with as much as 320 horsepower, depending on the trim level and engine you find. When behind the wheel of the 2011 BMW 3 Series, drivers are in for a treat. The vehicle has a six-speed automatic transmission that shifts smoothly and provides remarkable responsiveness. Drivers can feel in control with this automobile, whether driving their daily commute or tackling an exciting road trip. 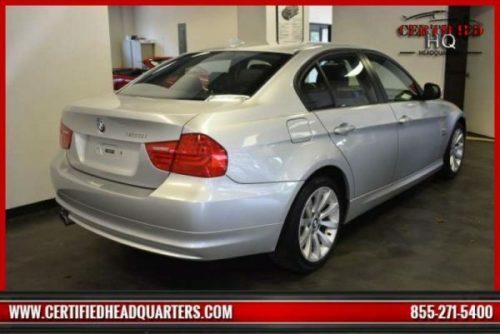 If you want to check out the 2011 BMW 3 Series for yourself, consider stopping by Certified Headquarters. Our pre-owned dealership is the perfect place to find this vehicle and many other luxury sedans. To learn more about what we have in store, feel free to call Certified Headquarters at 631-366-3700. You can also stop by our location at 873 Middle Country Road in St. James!